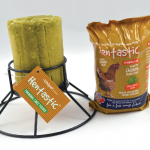 Another great product from Unipet is the Hentastic Foraging Cake. 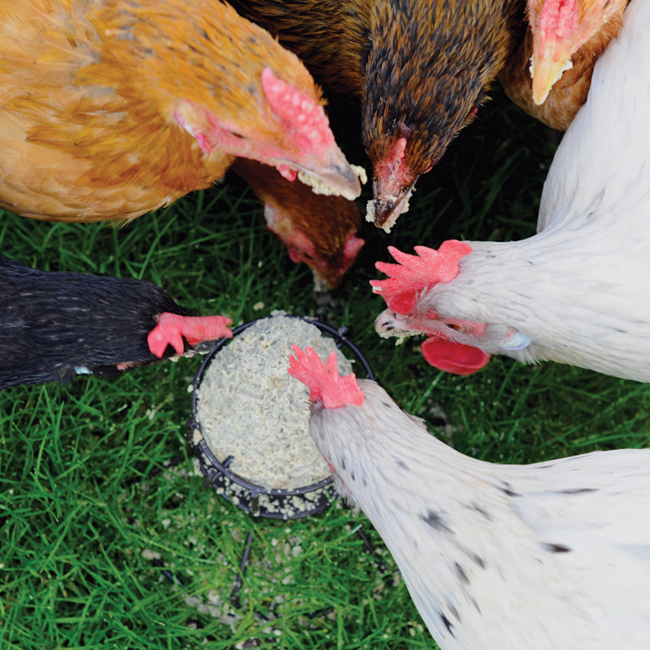 This is a treat that sits in its own metal cake feeder on the floor making it irresistible for the birds who go crazy for this special treat. The cakes contain ginger, garlic and herbs, all of which make a healthy delicious treat for your stock. The cakes are made from 100% vegetable recipe infused with non-hydrogenated vegetable oil, ginger, garlic and mixed herbs that your flock will adore. The foraging cake helps to relieve stress and boredom, and in turn helps to reduce feather-pecking and cannibalism – as well as supplying a combination of natural untreated herbs that aid digestion and are a great source of antioxidants. 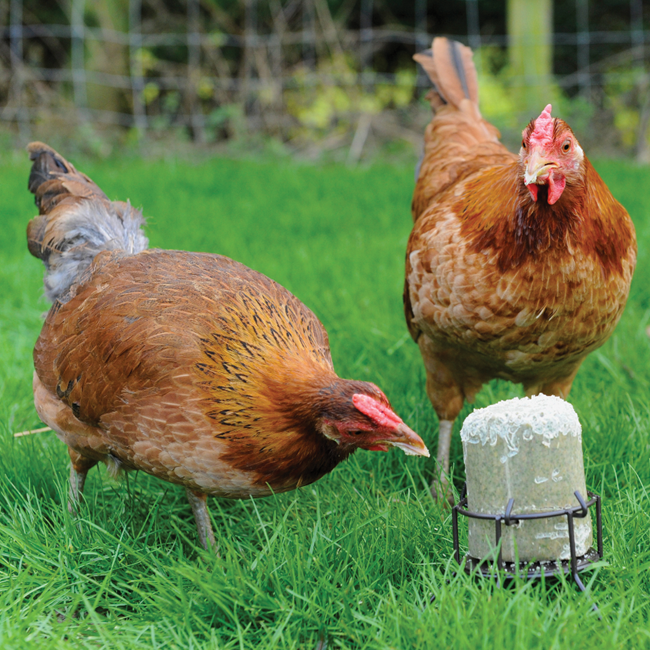 Hentastic foraging cake is a complementary food that makes an ideal treat, which is far better than giving your birds scraps from the house that in many cases are not suitable or healthy for the them. The Foraging cake is now available as a single treat or in a new twin pack.